KABUL, Afghanistan — Afghanistan's Taliban on Thursday confirmed the death of Mullah Mohammad Omar, who led the group's self-styled Islamic emirate in the 1990s, sheltered al-Qaida through the 9/11 attacks and led a 14-year insurgency against U.S. and NATO troops. The Taliban Shura, or Supreme Council, chose Mullah Akhtar Mansoor, who had served as Mullah Omar's deputy for the past three years, as its new leader, two Taliban figures told the Associated Press, saying the seven-member council had met in the Pakistani city of Quetta. Mansoor is considered close to Pakistani authorities, who hosted peace talks earlier this month, and his election could widen an internal rift between fighters who favor negotiations with Kabul and those who want to continue an insurgency that has gained speed following the end of the international combat mission last year. The peace process was plunged into uncertainty earlier Thursday, when the Afghan Taliban indicated they were pulling out of the negotiations and Pakistan's Foreign Ministry said the talks, which were to be hosted by Islamabad, were postponed. The Taliban said Mullah Omar's family had confirmed his death and that he had died of an unspecified illness. In a statement emailed to media, the Taliban quoted Mullah Omar's brother and one of his sons as asking for forgiveness for "mistakes" he made at the helm of the militant group. The statement, issued in the name of Mullah Omar's brother, Mullah Abdul Manan, and his son, Mohammad Yaqub, came after the Afghan government announced Wednesday that Mullah Omar had died more than two years ago in a Pakistani hospital. Senior Taliban figures told the Associated Press that Mullah Omar died. Yaqub also confirmed in a telephone call with the AP that his father was dead but did not provide any further details. In the statement, Mullah Omar's family praises his dedication to jihad, or holy war, against the international military coalition led by the United States and says it is the "duty of all Muslims" to follow his example by establishing Sharia law in Afghanistan. "During 14 years of jihad against the U.S., Mullah Omar never left Afghanistan for one day, even to go to Pakistan or to any other country," the statement said, saying he remained in Afghanistan through two weeks of serious illness before passing away, without providing further details. The Taliban ruled Afghanistan from 1996 until they were overthrown in a U.S-led invasion in 2001. It is widely believed that Mullah Omar fled over the border to Pakistan, where he lived under Pakistani protection until his death. Following Mansoor's election, the Taliban chose Sirajuddin Haqqani as its new deputy leader, the two Taliban figures said. Haqqani has a U.S. government bounty of $10 million on his head as a leader of the extremist Haqqani network, which is allied with al-Qaeda. His election to the leadership of the Afghan Taliban confirms the group's ties to the Haqqani network, which has been accused of staging numerous cross-border attacks from their base in the Pakistani tribal area of North Waziristan, including a 19-hour siege at the U.S. Embassy in Kabul in September 2011. Pakistan's foreign ministry said Thursday it was postponing the talks due to the "uncertainty" surrounding Mullah Omar's death but gave no new date for the negotiations. "In view of the reports regarding the death of Mullah Omar and the resulting uncertainty, and at the request of the Afghan Taliban leadership, the second round of the Afghan peace talks, which was scheduled to be held in Pakistan on 31 July 2015, is being postponed," said the statement. The first round of the official, face-to-face discussions was hosted by Islamabad earlier this month. The meeting was supervised by U.S. and Chinese representatives and ended with both sides agreeing to meet again. It was not immediately clear if the latest developments had scuttled the peace process altogether or whether it was just a serious setback. Political analyst Ahmad Saeedi said the Taliban's statement could signal a total rejection of the talks. "I'm pretty sure there will be no peace deal," he said. Despite operating in near-total secrecy, the reclusive one-eyed Mullah Omar had served as a unifying figure in the Taliban. But experts have long spoken of a divide in the opaque movement between those who favor the peace process and those who still believe they can overthrow the government. Afghan President Ashraf Ghani has sought Pakistan's help in bringing the Taliban to the negotiations, since Islamabad is believed to wield influence over the group. A diplomat based in Kabul who is familiar with the peace process told the AP that since Ghani assumed power last year, the government's position has been that "the real negotiation is between Afghanistan and Pakistan." The diplomat spoke on condition of anonymity because he was not authorized to talk to reporters on the ongoing talks. Further splintering within the Taliban could see more local commanders defect to other groups. Already, the Islamic State group, which has taken control of large parts of Iraq and Syria, is believed to have recruited some disaffected Taliban members to its ranks as it tries to establish a presence in Afghanistan. After the U.S.-led invasion, remnants of the Taliban led by Mullah Omar fled over the border into Pakistan, where they are believed to have the protection of Islamabad. 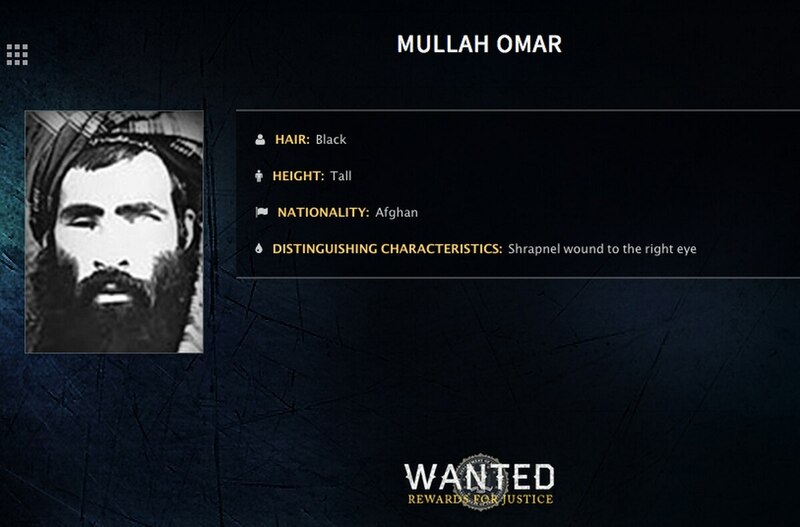 Mullah Omar has not been seen in public since then, though statements have been issued in his name. The Taliban had denied previous reports of his death. A statement purportedly by Mullah Omar was issued on the occasion of this month's Eid-al-Fitr holiday, expressing support for the peace talks. Gannon reported from Timmins, Canada. Associated Press writers Humayoon Babur in Kabul, Afghanistan, and Asif Shahzad in Islamabad contributed to this report.